Challenge: Support the strong lines and stately look of the house without allowing it to get too heavy. 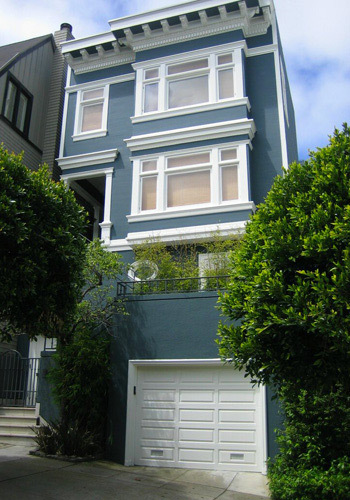 Solution: Support the Client's choice of a saturated, complex hue for the house body, offset it with a clean, bright white for the trim, and accent with a brown hue for specific details.San Francisco, Ca. Done in conjunction with Modamas Fine Painting. To see details of this project, click link below.